On 26 November 2014, the United Nations University, in collaboration with the Embassy of the Republic of South Africa – Japan, will host the Nelson Mandela Memorial Lecture, “20 Years of South Africa’s Constitution: a Model for Building Social Cohesion”. The lecture will be presented by Dr. Mohau Pheko, Ambassador of the Republic of South Africa to Japan, on behalf of Deputy President Cyril Ramaphosa, who will no longer be travelling to Japan due to unforeseen circumstances. This event will start at 11:00 a.m. at UNU Headquarters in Tokyo. South Africa’s Constitution is widely regarded as the most progressive in the world, with a Bill of Rights second to none. The lecture will address how the South African Constitutional Court is forging, guiding and sustaining the country’s young democracy through groundbreaking rulings on human rights issues. The lecture will explore how Japanese companies contribute to the economic development and improvement of the quality of life of South Africans and how Japan can draw reassurances from the experience of the 15 Southern African Development Community member countries in dealing with common regional problems going beyond directly economic issues. Highlighting Japan’s many contributions to African development, such as the Tokyo International Conference on African Development (TICAD), the lecture will emphasize the importance of Japan continuing its spirit of generosity to assist others in need. The lecture will be followed be a 30-minute question and answer session, during which audience members are encouraged to interact with Ambassador Pheko. This event will be in English with simultaneous Japanese interpretation. Advance registration (by 25 November) is required. Please click on the REGISTER button above to access the online registration page. Dr. Mohau Pheko has more than 20 years of experience in economic planning, development, public health, budget planning, training and facilitation, international development, health economics, rural development, organizational design, gender development, analysis and training. 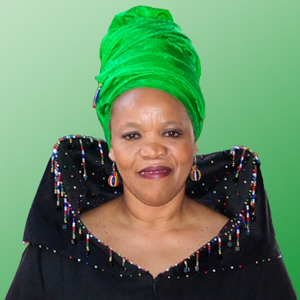 Dr. Pheko joined the Republic of South Africa’s Department of International Relations and Cooperation in August 2010 and served as the High Commissioner to Canada from 2010–2011. In 2012 she began her tenure as the Republic of South Africa’s Ambassador Extraordinary & Plenipotentiary to Japan. Ambassador Pheko has previously worked as a consultant for numerous multilateral institutions including the World Trade Organization, International Monetary Fund, the World Intellectual Property Organization, The World Bank and other UN agencies. She has served as an expert group member on the Economic Partnership Agreements to the European Parliament and Commission, as well as an expert member of the Southern African Development Community Secretariat. She served as a consortium member in the training of African negotiators in preparation for the World Trade Organization negotiations in the area of General Agreement on Trade in Services (GATS) and Trade Related Aspects of Intellectual Property (TRIPS). An acknowledged expert in the area of gender budgets, and economics and trade literacy, Ambassador Pheko served as an advisory member and curriculum developer of the Gender and Economics Training project for the United Nations Economic Commission for Africa (UNECA) and African Union. Ambassador Pheko holds a BSc in Economics and General Studies from Indiana University-Purdue University; a BSs in Nursing from University of the State of New York; a PHM in International Health from New York Medical College; an MSc in Development Economics from NYU School of Continuing and Professional Studies; and a PhD in International Relations from LaSalle University, Louisiana.